We love link building at SiteVisibility… we look at links as little nuggets of gold to be mined from the internet. Get a link from the BBC and you’ve found yourself a gold bar, get a link from a small authority site and you’ve mined yourself enough to smelt yourself a nice gold ring, get a link from linkfarm.com and you’ve found fool’s gold, in fact you may have to pay a pretty penny for that link yourself! Each keyword rich link puts us on the path to Google ranking glory and we will stop at nothing to get our links built. But what’s a backlink? A backlink is just a normal link, just looked at from a different perspective. It’s a link that links back to a website. Do a simple check on backlinkwatch.com and type in a website. Backlinkwatch will do a crawl of all the links that are pointing back to that website. These are the website’s backlinks. What’s the most important thing to remember about backlinks? Well try and get as many as possible, naturally and organically. 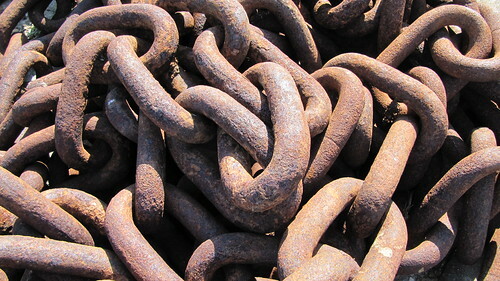 Google’s key ranking metric for websites is backlinks. Google sees links as votes, and as such the more links you have, the higher you are likely to rank. The key to this is what the backlinks actually say. Imagine you have 50 links that point at your website which all have the words “blue widgets” as the links, now a competitor has 49 links that say “blue widgets”, all things being equal, you will rank at number 1 and he will rank at number2. This is greatly over simplified as there are a whole range of other onsite and offsite optimisation issues that any SEO will have to take into account as Google has over 300 metrics that factor within its algorithm. Just remember getting backlinks is the key to moving up the rankings in Google, the more links you have the more link juice you will have to power your SEO engine!